Temperature data for 2016 shows it is likely to have edged ahead of 2015 as the world’s warmest year. Data from Nasa and the UK Met Office shows temperatures were about 0.07 degrees Celsius above the 2015 mark. There must be something wrong with my old eyes, as I can’t seem to find any mention of the satellite record, which shows no such thing. To recap, both UAH and RSS say that atmospheric temperatures for 2016 statistically tied with 1998, at just 0.02C higher. Neither 2014 or 2015 were anywhere near being a record. Satellite measurements of global temperatures are regarded as much more comprehensive, accurate and unaffected by UHI, as Roy Spencer explained in 2014. The BBC shows the map provided by NOAA, with lots of red on it to convince us how hot it has been. However, if they were more honest, they might have showed the Land-Only map, which underlines the fact that most of the world’s land mass has no thermometer coverage at all. Of course, there might be good reasons why the satellite record has diverged from the surface data in recent years, but is it not the job of the BBC to provide us with all the facts, and not just the ones that suit its political agenda? But the BBC has Reality Check – so surely that will put this right? Not going to hold my breath. But we all know the BBC is against fake news. HP, the GHE is supposed to happen in the atmosphere, not at the surface. Of course it is. Except when it is spreading it. I also notice the blue bits in S America China and W Australia actually disappear and become pink or white. The BBC only has one policy on AGW and that is supporting AGW. Well, it will take circumstances people actually experience to clue them in. Ex. Al Gore said hurricanes were going to be more frequent (the poster for his documentary had factory smoke curling to form the satellite image of a hurricane) but we’ve had a real pause in occurrences. Obama blamed the Southwestern drought on climate change, now there’s flooding. So, the message from the progressive media and entrenched establishment scientists will continue to be who are you going to believe? Us or your lying eyes? Great picture from their climate’s cam. An illusion of someone walking on water. If you think the BBC is bad, you should have seen Tom Clarke on the Channel 4 news. We had top climate scientists like Arnold Schwarzenegger and Governor Gerry Brown and lots of other experts telling us we only had 4 years before Armageddon. I don’t think the phrase “climate denier” appeared more than a dozen times. What did 1998 and 2015-16 have in common climate-wise? That would be El Niño, but it seems to go right over the heads of these clowns. It’s been around a lot longer than their so-called industrial-era ‘climate change’. ‘Human emissions of CO2’. Whatever next? 1. CO2 makes no difference to temperatures. 2. No matter how high CO2 has been run-away global warming has never happened. I think I understand what you’re trying to say. By carefully cherrypicking the start year, you have been able to create a large warming slope that doesn’t actually exist in the data. Given the data and the program you can make anything prove anything. Yellow line is the gradual warming from 1659-2015 [356yrs] (0.028°C/decade). Green line is the rapid acceleration (attributed to CO2 ) from 1966-2015 (0.197°C/decade). SO…What caused the even more rapid acceleration from 1695-1734 (0.45°C/decade).?? Usual garbage from the usual suspects. Steven Mosher get the message — human effect on climate is negligible. Weather station coverage of the planet is rubbish and the homogenization is just a trick thought up by political advocates — it is not science! In 600million years the planet has never had experienced run-away global warming – never happened. Even with CO2 levels at 7000ppm! And it is not going to now just because one animal on the surface burns some fossil fuels. Ice-core data indicate that just before a major glaciation massive (natural) conflagrations happened as there is an ash-line in the ice-cores. 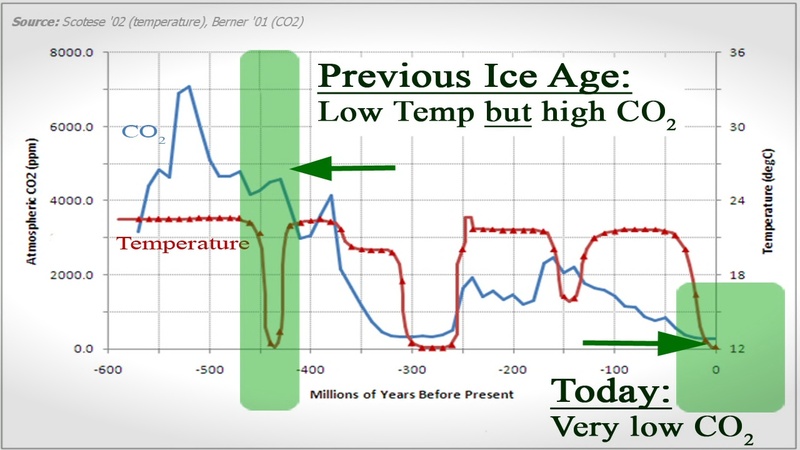 I strongly suggest to you that considerably more CO2 was released then but still the ice-age arrived. It’s it about time some of you scaremongering advocates got on with some work, or even (if you’re able) some real science! I know you are wrong, most people here know you are wrong, a lot of the world knows you are wrong, so give it a rest, as you and your arguments are not credible. Clear out the way and let the real engineers really improve peoples lives and the natural world, and clear-out all the dross you and your kind have foisted on the world. But that is not what the post is about, if you had bothered to read it. Warmest? warmest what? There is no signal, other than a pause in background gentle, welcome rise and all of that is natural, at that. we hate Trump even before we’ve seen what he can do! Alack we still want and love Hillary even if we know she’d still carry on with Barry’s ‘we hate the west’ deconstruction – ticked. Interview anyone but……………….. a denier, a realist, at least someone who knows of what he is about – box ticked. We love the EU and all who ride the gravy train, we regale your noble ideals and even if it will trigger economic catastrophe – ticked. The EU and the wonderful single market, single currency is better than all the rest, even if it is relentlessly grinding the ‘club Med’ into the dust and inclusive of France, we are singing lalalala and we won’t even hear of any naysaying! – ticked. Multiculti and nation destruction allied to the corporate blob smashing the cohesion of the western world – FANTASTIC – box ticked. The Antarctic, Arctic ‘s all de same innit? – whatev prince chuckles say it may melt early next week – box ticked. NOAA, GISS uncle tom cobbley of Penn State says it’s the warmest evah! – box ticked. Seesh, but, you get the feeling though, that, the audience has gone to sleep, crying wolf has had its day and the global warblers in the corridors of the beeb, act as a dying man, raging at the dying light as they walk off into the night [with sincerest apologies to Dylan Thomas one of our greatest]……………………. We ordinary Britons though, herald the new, we are at long last on our way OUT [of the EU], WE welcome Mr. Donald Trump, we spit on the beeboids – boxes all gladly ticked. I heard a short piece this morning on “Today” Humphrys interviewing a trilling woman from Reading University telling us all about this news as though it had quasi-religious status . Why are these people so happy about what should be, to them, bad news? Their ‘world’ must be imploding Shame EH ! So thats CNN, BBC & Sky off the new Pres, media invites ? CNN were already as he outed them as Clinton supporters in a pre-election day speech. El Nino contributed 0.2C to the global average temperature. Most of this disinformation seems to have come from Gavin Schmitt who, of course, has form for claiming records when the difference between the data is not statistically significant. Am I right that one of Trump’s election promises was to stop NASA spending money on climate research? Oh! Just the thought of Gavin contemplating that P45 in his in-tray! If, Mr. Schmidt was told to ‘collect his cards’? Then, surely a man of his reputation, world renown and stature, he must be confident of finding a new role outside in the real world, a vacancy as perhaps in, a bin man, snake oil pedlar, double glazing window rep, insurance scam artist or, how low can it get – as a pol? The world would be at his beck…………? No doubt Gavin will stroll into a well paid post as a ‘science communication’ wonk with one of the major NGO’s, and as he’s a Brit by birth, we may be welcoming him home. Hmm, “welcome” not the word that I would use and besides gav’ will not surely lower himself, as you see, his self regard knows no bounds. Mind you, having said that, with Mr. Trump in charge, and the ground shifting………………perhaps even the Ivy League may well think twice about employing such an egregious propagandist such as schmidt. Though, HRH reight charlie could employ him on his estate, somewhere and writing new Ladybird nursery stories? BBC has a Have You Say on this article. I suggest that people leave a few relevant comments. Gave up on HYS when they wanted your post code to re-register (information gathering)+ its not worth the effort when your amongst the cult mindset. Same with Question Time. Haven’t watched their rigged shows for years now. Can anyone recommend a best practice method on not paying the TV tax ? Yes, don’t pay. Don’t make contact. Ignore letters. Don’t be in when they call. They stop after two visits. And make sure it can’t be seen or heard from any public access. BBC ‘Have Your Say’ while we gather data about you! Alternatively there’s http://www.geopostcodes.com/uk to find a postcode, any postcode. Ah, facts. Those troublesome things that don’t follow the agenda. Well actual science and facts are troublesome to the AGW crowd . . best be ignored. We sophisticated & educated followers of this excellent blog can follow-along with convoluted expression worthy of a Shakespeare, but spare a thought for the market *we* are selling our message into, which is comprised of those who are impressionable AND have a vote! Hhmm, 0.07C and yet the UKMO have a short term forecast tolerance of +/- 2.0C. Pontifications about a fraction of a degree can set national policy strategy and increase my power bill but public wage bonuses paid from my tax’s are determined within a range of whole degrees. Anyone care to allay my feeling of being ripped off? Perhaps one if these days I can start removing some hands from my pockets. Let’s start with BREXIT and then continue…..
‘The hysteria over this issue is truly bizarre’. Ah Doctor Lindzen, with a brain the size of an aircraft hanger and a pithy way with words into the bargain, the man is a tower in a world full of pygmies. There’s the nub of the issue. If the vaunted GHE really IS an issue then ‘they’ would present the facts that support the GHE and by definition that includes the precise place where the GHE is supposed to most impact; earth’s atmosphere. They don’t, instead they wilfully use hugely inferior (not to mention sparse land-based) surface data, which is NOT where atmospheric warming from greenhouse gasses is supposed to be, according to agw theory. That tells any objective observer all they need to know. These claims expect us to believe that the recent warming spike was all man made but the already falling cooling temperatures are entirely natural and almost nothing to do with El Nino at all. Yeah, sure. Whatever. Paul, the more I look at the histograms of the anomalies the more I need to clear up something that troubles me: If they are anomalies then the measurements are off-sets from a given datum, are they not? If that is the case, the charts seems to indicate that the datum was -0.2 C. But I find that hard to take in. I would assume an anomaly chart would be better represented as a washing line histogram with the +/- points plotted around the datum. UAH anomalies are based against a baseline of 1981-2010. Another letter to the BBC pointing out their omission? 1. 2016 was the hottest year ever. 2, El Nino had very little to do with it and “environmental scientists agree” that 90% of the warming was due to CO2 emissions. 3. The warming was therefore man-made. 5.. Sea ice is at its lowest level ever. 6.. Sea levels are at their highest levels ever. 7. We are all doomed unless we adopt the usual Greenie crackpot measures (which will bankrupt and doom us anyway). There may have been others, although at least the polar bears were not trotted out. And of course the same tripe is recycled today in the newspapers by lazy journalists. God must have told them, maybe? Remove ‘environ’ & you get a true statement.